More than 1,700 people were arrested across France during the latest “yellow vest” protests as demonstrators clashing with riot police caused more damage in Paris than a week ago, officials said on Sunday. The interior ministry said some 136,000 people took part in Saturday’s protests across France, around the same number as on December 1. 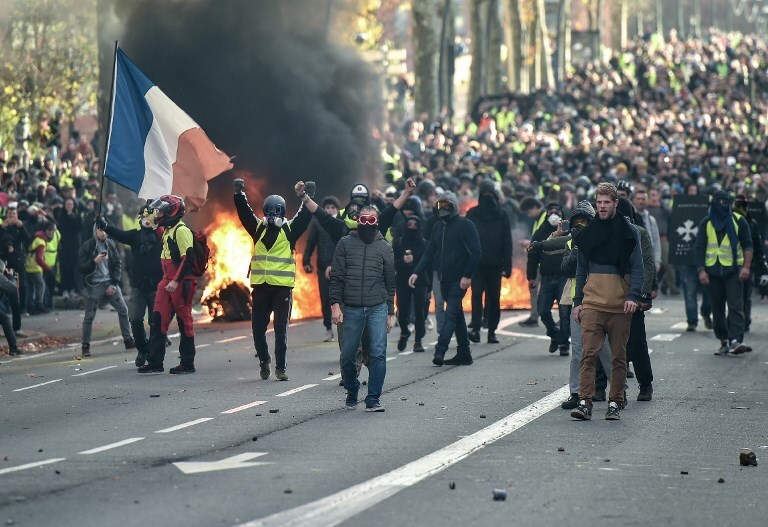 City authorities said the ‘yellow vests’ had caused “much more damage” than on December 1 protests. “The sector concerned by the incidents was much larger… With fewer barricades, there was much more dispersion, so many more places were impacted by violence,” Paris deputy mayor Emmanuel Gregoire told France Inter radio.